Sergio Penha is the only Brazilian Jiu-Jitsu Red and White belt in Las Vegas, NV and 1 out of 21 Brazilian Jiu-Jitsu 8th-degree Red and White Belt in the world. Sergio Penha also has a Judo Black Belt under the legendary Osvaldo Alves from Rio de Janeiro, Brazil. As a tough and fearless competitor, Sergio was promoted from purple belt to black belt after only 3 years of hard training. This significant promotion made Sergio the first of only two practitioners in history to completely skip the brown belt rank. As a prodigy in the 80’s, Sergio faced fierce competition in Brazil and became a 3-time Rio de Janeiro State Champion with victories in 1978, 1979 and 1983, which at that time was the toughest tournament to compete in. 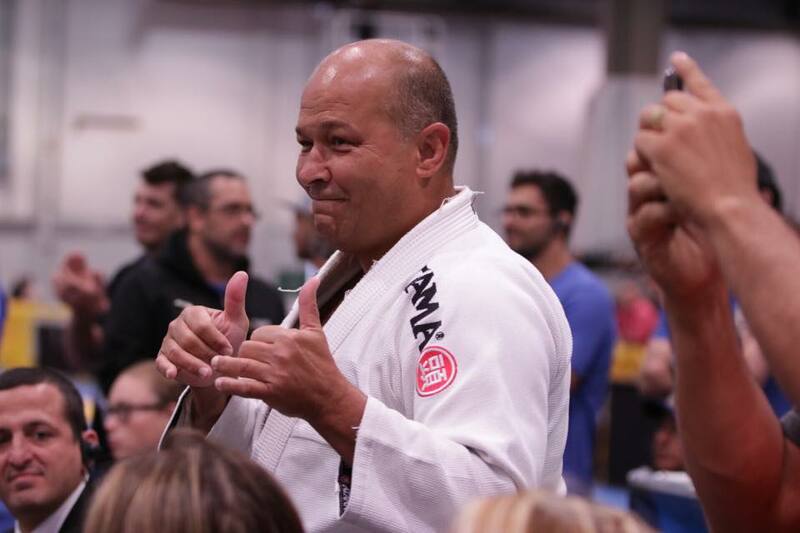 With more than 40 years of coaching as a black belt, Sergio has dedicated his life to the art and has developed an effective teaching style that can accommodate students of all different abilities. Sergio has promoted over 25 students to Black Belt and has been instrumental in developing the early careers of several Brazilian Jiu-Jitsu World Champions, UFC and WEC Champions as well as other mixed-martial arts organizations.